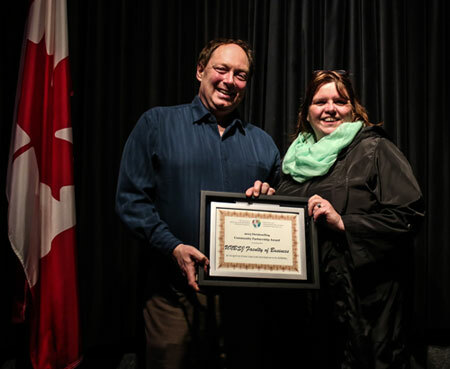 The Faculty of Business at UNB Saint John has received the Outstanding Community Partnership Award from the Saint John Multicultural & Newcomers Resource Centre (SJMNRC) at their 7th annual Volunteer Appreciation event held on Friday, April 15, 2016. A marketing plan project developed by Emin Civi’s class. Dr. Civi is the recipient of numerous teaching honors and was instrumental in the faculty receiving this award.